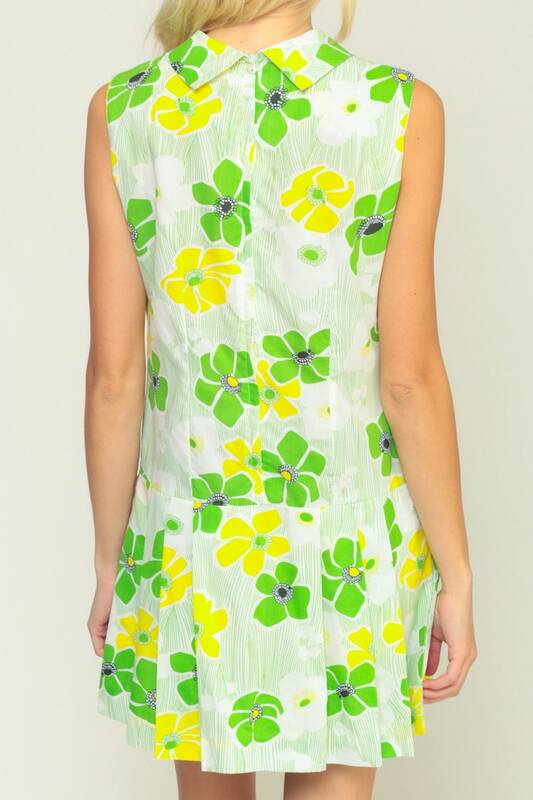 Vintage 60s 70s dress with a floral print and hidden shorts under the skirt. Sleeveless with a drop waist and a rear zip. Mini length. Condition: Very good vintage. A few tiny pinholes on the back of the dress by the hem.